We are delighted to be co-sponsoring the CDO Exchange Financial Services 2018 with our partner MicroStrategy. The CDO Exchange will be held on the 16-17 October and attracts the top Data talent to meet and exchange ideas to shape the future. We will be showcasing Kinaesis Springboard with MicroStrategy which demonstrates how our financial services domain knowledge complements MicroStrategy's market-leading enterprise analytics and mobility platform. This solution champions flexibility and responsiveness to core business reporting challenges while preventing the proliferation of localised data silos. 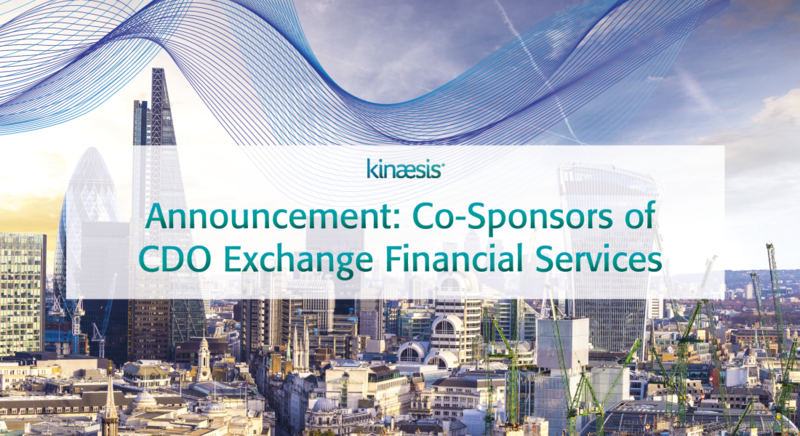 Kinaesis are excited to be a part of the CDO Exchange and we look forward to catching up with our friends, colleagues and clients in the Data community. Any further queries please direct to info@kinaesis.com.